Be or not to be New Casino complex? New Casino complex. To be or not to be? 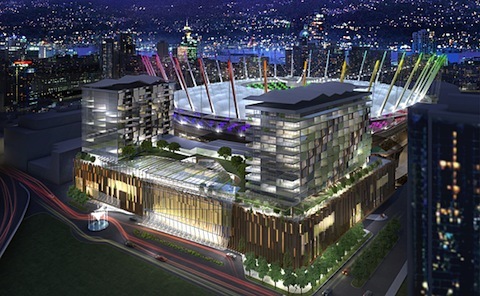 Back to 2011 the developers failed to get green light from city council to build a massive casino complex in Vancouver but they very close to get it by the end of this year as a new proposal for a multimillion-dollar urban resort project passed the council and waiting for a development permit. The new development will include two hotels, conference rooms, restaurants, gym, spa, and the all the staff including slots, roulette, blackjack, baccarat, poker and other gaming tables from the Edgewater Casino. A lot of people are against this project but when we look at the numbers I think it is a really great idea and it will bring a lot of benefits to the locals and local economy in general.Estimated project cost is $700 million with around 4,500 jobs will be created during construction and 2,000 permanent jobs will be available after to operate the whole complex. $180 million yearly income an additional $87 million which will be spent by visitors outside the resort. It is really big money and huge boost for local economy and I sure there will more benefits than disadvantage.Let’s wait for the end year and see how this saga ends.